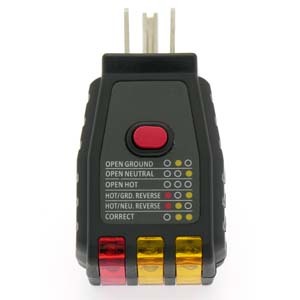 AC outlet tester plugs into any standard 120 V outlet and indicates the wiring condition of the outlet. The tester also has the ability to test any outlet protected by a ground fault receptacle to ensure proper interruption operation. 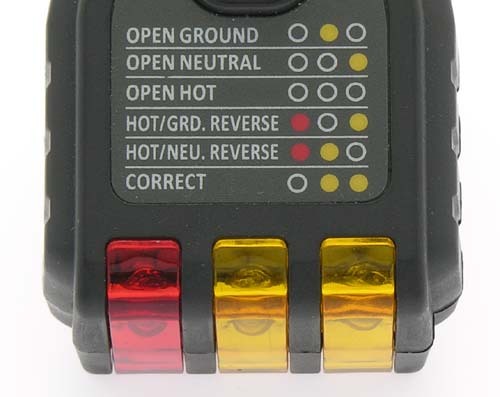 With charts on the unit, any user can quickly identify which of the six wiring conditions is indicated by the integrated neon lamps. 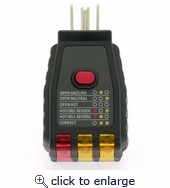 Test any GFCI outlet, standard outlet, or extension cord.